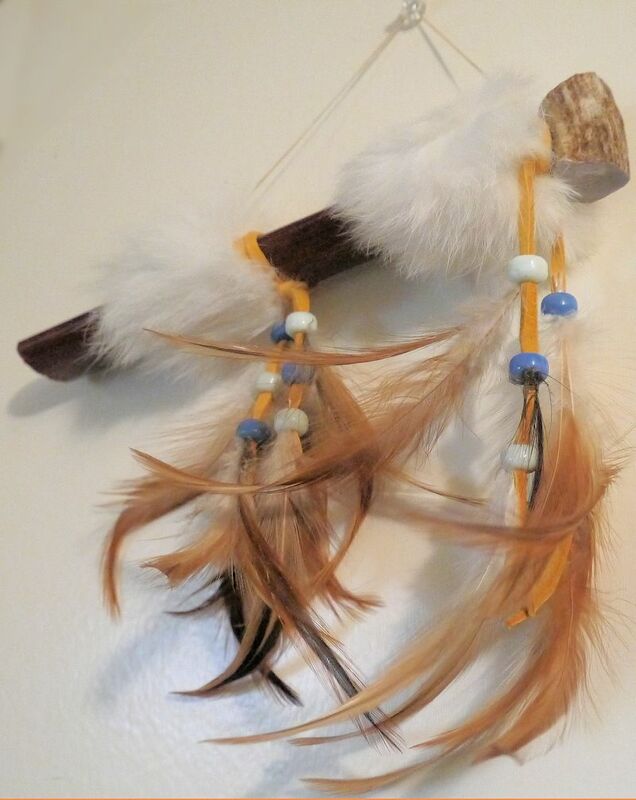 This morning pipe or mini peace pipe has a deer antler bowl and a 7.5" hardwood stem decorated with genuine buckskin leather, feathers, rabbit fur, and glass crow beads. Overall length is approximately 8.5 inches. The picture shown is representative. Each antler bowl will vary slightly, since no two antlers are exactly the same, and bead colors may vary.